John Varvatos occupies a unique place in the world of design. The distinctive Varvatos style combines sophisticated elements of vintage and traditional tailoring with an edgy modern esthetic. Launched in 2000 with a core collection of sophisticated, yet casual, men's clothing, the John Varvatos brand now includes both clothing and an entire range of products — including colognes. A love of great rock 'n roll music, combined with his extensive early design experience for the renowned Ralph Lauren and Calvin Klein labels before launching his own clothing line, gives the work of John Varvatos a unique flair, unlike anything else in the men's fashion world. He has been recognized three times by the Council of Fashion Designers of America (CDFA), and was given the prestigious Men’s Designer of the Year Award twice (June 2001 and June 2005). The John Varvatos brand was created for men who appreciate beautiful fabrics and great details that are traditional, yet modern, without being over the top. The Varvatos approach to fashion is always unique, relevant and unmistakably modern. That impulse seems to guide his fragrances too — they feel well crafted with an emphasis on ingredients and not just creating another copycat fragrance of whatever is popular this week. 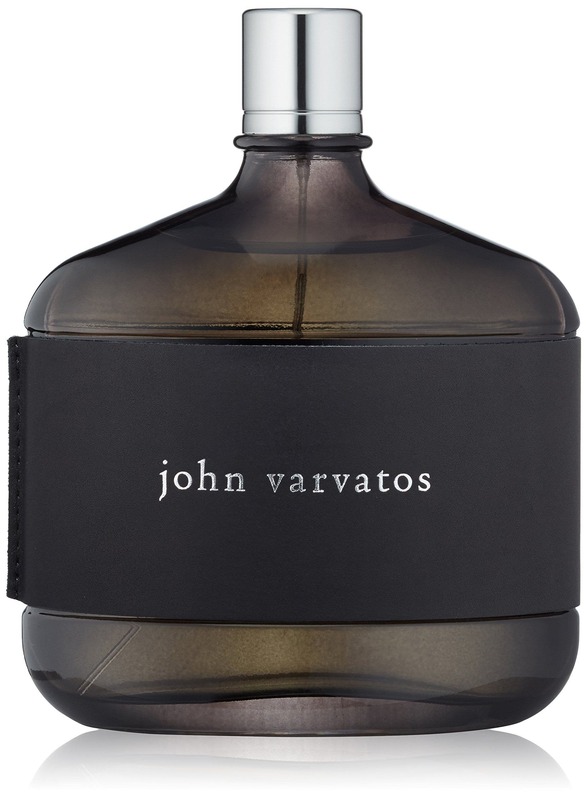 Today, the John Varvatos brand has about 14 fragrances in its perfume base. The fragrance range was launched and created by John Varvatos himself, in collaboration with the master perfumer Rodrigo Flores-Roux. 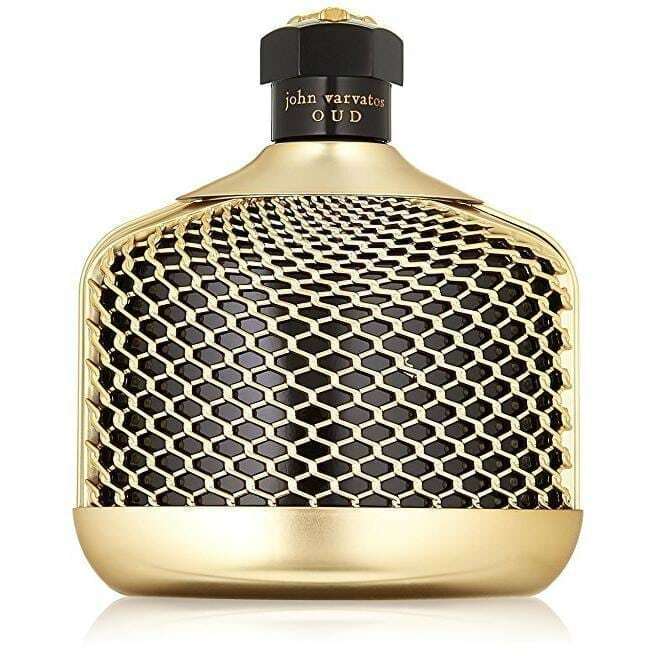 John Varvatos “looks back to move forward.” He has a modern take on fashion, with roots delving deep into vintage glamour which you can also see and smell in his men's colognes. Released in 2004, this fragrance strikes a nice balance — it feels sophisticated yet bold. And very confident. The scent is complex with notes of Indian fig leaf, fig, coriander, clary sage, leather, and lime plum, spiced with touches of cinnamon, pepper and woody accords of sandalwood and cedar. Like most of the rest of the Varvatos cologne line, this is available in 75ml or 125ml in a smoked black glass bottle with a leather belly band and nice, solid feeling metal cap. The rest of the colognes in the series use simple, slightly retro bottle and embellish it in the mood of the fragrance. ​For those of you who like to layer your fragrance, you can also get this as an after-shave, bath & shampoo gel, and a deodorant stick. That said, it's got good projection and longevity (around 8 hours for me) so you don't necessarily need to layer. Oriental fragrances always feel more like evening wear and this is no exception. I'd recommend wearing it spring/fall/winter. It would feel a bit heavy in the summertime. Apparently Jimmy Fallon is also a fan of this fragrance. Perfect for a winter date night or evening out. 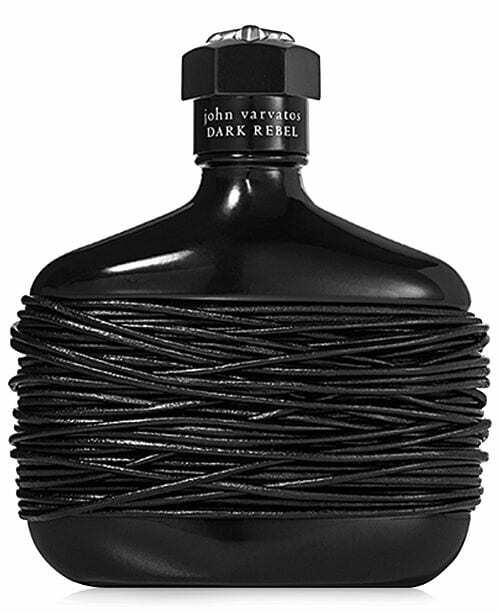 John Varvatos considers Dark Rebel to be the most personal cologne he has ever released. It is a cool, sensual fragrance designed to unleash the rebel in every man. It appeals to your inner rebel with a distinctive scent that is one of a kind. A mixture of tobacco leaves, resinous woods, Jamaican rum, black leather and black pepper give this scent an untamed edge that will enchant you (and perhaps your significant other) from the minute you use it. The packaging is inspired by black leather and the intoxicating bad-boy attitude of your favorite rock 'n roll band. Advertised under the slogan “From Darkness Comes Light,” this is a smoky oriental cologne that is perfect for the colder months and your nights out on the town. The cologne is reminiscent of the vintage leather jackets from the glory days of rock 'n roll, and the men who wore them. Citrus explosion developing into a spicy, floral blend, followed by a masculine woody impression. Artisan pays homage to the art of fine craftsmanship while incorporating a signature modern edge. Every element of the Artisan scent, from the handwoven cover and linen box to the carefully selected ingredients, ensures that this fragrance stand out for their artistry. Crafted from a range of ingredients, including Sicilian clementines, North African Orange tree blossom, ginger roots, and tangelo, this is a burst of citrusy scent with a smooth base, rounded off by a woody musk. A versatile fragrance, it is equally suited to a casual day around or to a business meeting. 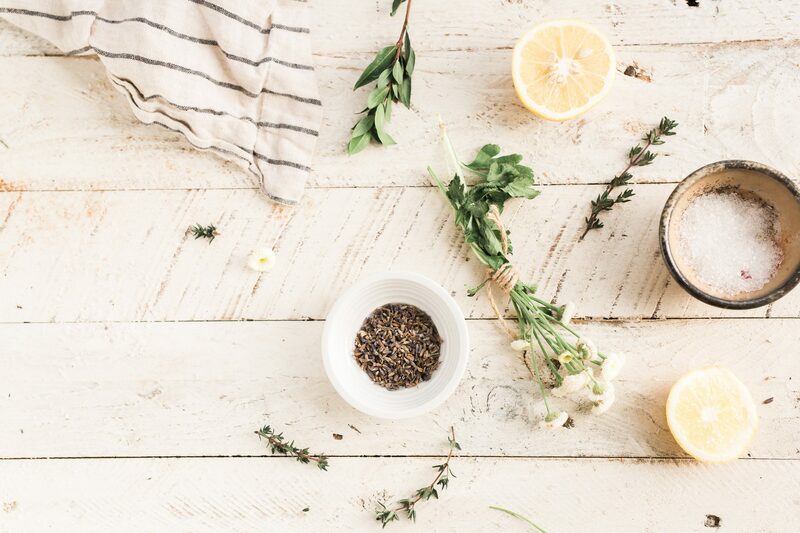 The bright, long-lasting citrus blend works particularly well during warmer summer months. All the mystery, luxury and presence of oud oil. Oud by John Varvatos weaves together a rich, luxurious oriental scent with ancient roots, incorporating the deeply aromatic and much sought after oud oil. It is an intoxicating scent steeped in luxury, with a mysterious twist that is hard to define. Sweet tobacco, Levantine cypress, and juniper berries make up the aromatic top notes of this scent, while the core is blended from sensuous spices and delicate florals, all underlined by the presence of the titular oud oil. Fragrant woods, resins and the signature black leather accord all come together to make this distinctive blend. This scent has a distinct and unmistakable personality, long-lasting and unforgettable. The combination of spices mean that it's a bold scent and not suited for day or casual wear. John Varvatos Oud will wrap you in mystery and keep your senses warm during the long winter months. Wear this scent for a special night out (or any special occasion) during the winter holidays. Sensuous, aromatic scent with a warm, spicy appeal. Vintage is a name that represents this scent in both the aesthetic and olfactory senses. It has won the hearts of many, thanks to its rugged, undeniably masculine authenticity. Wrapped in a swatch of the distinctive black leather that is integral to this range of fragrances, and encased in a rounded brown bottle, this cologne gives a stylish first impression. Crafted from rhubarb, quince paste, juniper berries and cinnamon leaves. It is an undeniably masculine blend comprised of the chypre family with a spicy core and a distinguished leather background. A vital introduction soon gives way to the scent of Yugoslavian oak and extra pure patchouli rounded off by tobacco, rare woods, and notes of suede. It is a smooth and sensuous blend with a warm appeal great for cooler weather or evening wear. When John Varvatos launched Artisan Acqua, the fashion house wanted to harness the vibes of Mediterranean beaches and summer freshness. Artisan Acqua, the fifth fragrance from the designer, delivers on this vision, providing a fresh, beachy scent that still carries a definite classic, masculine tone. This fragrance is overflowing with notes – it opens with a citrus flair, with notes of mandarin, tangelo (a hybrid of tangerine and pomelo) and paradisamide molecule, which leaves the impression of tropical fruits, along with galbanum, lentic, and angelica root. In the heart, the scent starts to develop green and old-school, masculine scents, with notes of sage, lavender, coriander, toscanol, basil, geranium, palmarosa and jasmine sambac on a base of musk, patchouli and fir resin. The nautical experience of this fragrance all starts with its appearance. The glass bottle is cased in woven rope, making it look like something you’d find on a ship or washed up on shore. Plus, every bottle is hand woven, meaning that no two look exactly the same. The heavy, metal cap and medallion, both engraved with the John Varvatos logo, give it an air of class and quality. This fragrance is ideal for summer daytime wear. One downside: it lacks longevity. It only lasts about 3-4 hours. John Varvatos Artisan Blu bottles up the experience of swimming in crystal-clear blue water with the sun shining above you. It’s got an aromatic-citrusy scent that’s easy-going and casual. The freshness and citrus qualities make it more of a unisex fragrance than one that’s strictly for men. Top notes feature bergamot, lavender, basil, bitter orange and chayote, which is related to melons and cucumbers. The heart has notes of geranium palmarosa, iris, orange blosson absolute and clary sage, while the base carries cedar, patchouli, pine, pistachio resin and tamarisk wood. The Artisan Blu box features a Mediterranean beach scene and a textured surface. It’s got a glass bottle cased in blue hand-woven rope with a metal cap and John Varvatos medallion. Despite the long list of notes, Artisan Blu wears simply and close to the skin. The fragrance has an understated elegance to it, which makes it perfect for daily use in the warmer months. It’s a scent that will leave you feeling vibrant and confident. For anyone looking for a bad boy fragrance with a dash of freshness, Dark Rebel Rider really hits the nail on the head. The scent establishes an air of darkness with woodiness, smoky leather, incense and resin tones. Some vanilla and citrus notes give this powerful fragrance a nice, clean finish. This dark scent kicks off with notes of bitter orange, aldehydes, saffron, marjoram and hyssop, which eventually give way to orris, osmanthus, black violet, rock rose, olibanum, resin and tolu balsam. Its base notes – Russian leather, cacao, vanilla, atlas, cedar, patchouli, and wood – solidify this as a masculine fragrance. As with most John Varvatos fragrances, the presentation really captures the essence of this scent. It comes in a plain, black bottle that wears a leather case with zippers going up both sides. This is one of those scents that isn’t for everyone – some describe the fragrance as overly dark and off-putting. It’s best used for a casual night out in the winter months. It lasts longer than some of the lighter John Varvatos fragrances, staying on the skin for 8-9 hours. This fragrance marks a definite departure from the stylish and classic fragrances of the John Varvatos line. A collaboration with Elizabeth Arden, John Varvatos Star USA shoots for a much more urban, contemporary vibe than the other JV offerings. Overall, this is a pleasant, but nonunique scent. It opens with citrusy notes that give way to ginger, which then open up to a woodsy, unpronounced base. It also lacks longevity and was gone within two hours. Top notes include red ginger from Laos, juniper berries and cedrat. The heart has blue spruce, green cardamom absolute and osmanthus absolute, while the base has vetiver, Venezuela tonka and belambre. With regard to presentation, even though the cap is cool (John Varvatos says it’s supposed to be reminiscent of an old-time beer bottle cap), it’s really cumbersome to deal with. Even after using the scent several times, it took me several tries to get the cap closed. Star USA is good for spring or fall, but it will get drowned out quickly in the harsher months. The plain scent makes it practical for daily use, but there are definitely more interesting options for your everyday fragrance. John Varvatos Artisan Eau de Toilette Spray, 4.2 fl. oz. John Varvatos may not be as old as some of the other fashion house giants, but it is still a force to be reckoned with. 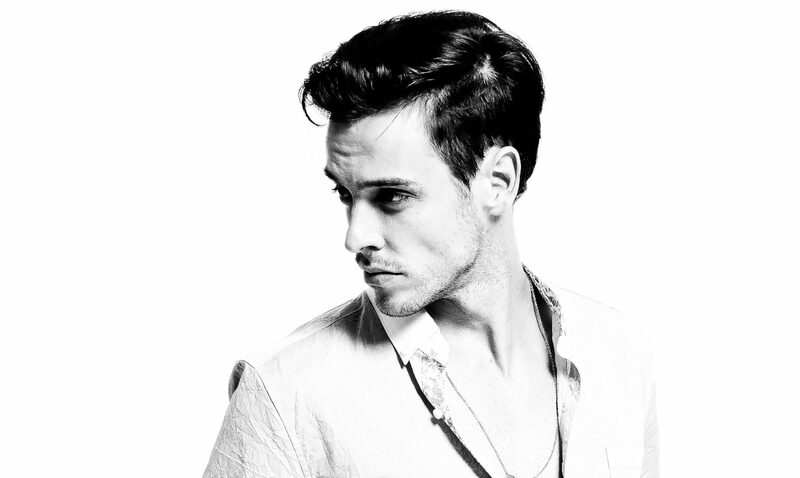 His fragrances feel like a nice balance of classic and edgy and always very sensual. If you can't decide on a fragrance, it might be worth trying out this travel set so you get an opportunity to try several. Overwhelmed by options? This coffret of 4 travel-size John Varvatos fragrances makes the perfect starter kit. It includes 15 ml (.5 fl. 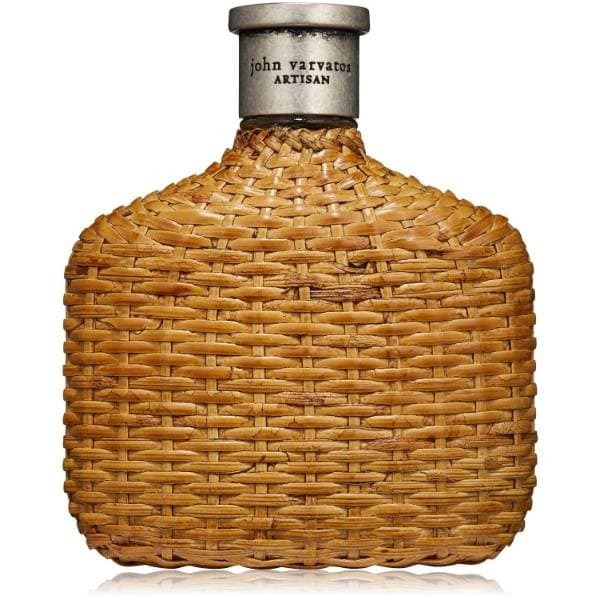 oz) of John Varvatos Classic, Vintage, Artisan and Artisan Acqua. A great way to get acquainted with his best-selling colognes and handy size for travel or the gym.